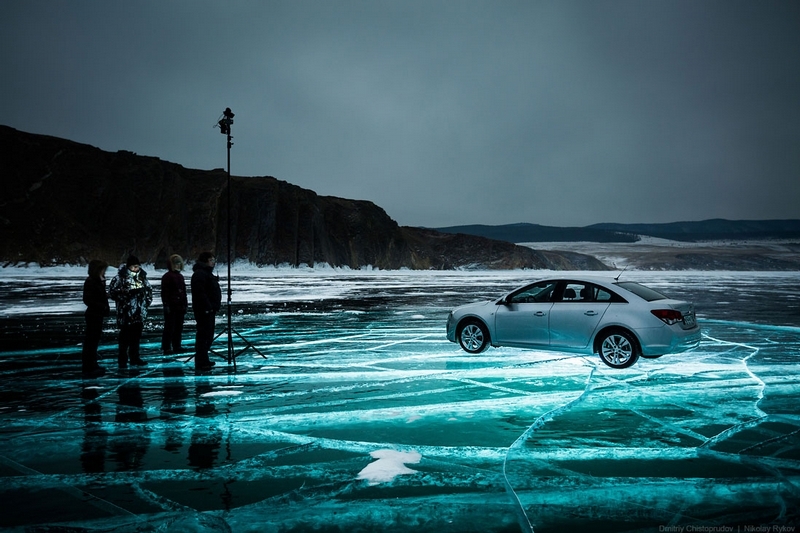 There are photographers that shoot cars and then there are Dmitry Chistoprudov and Nikolay Rykov. 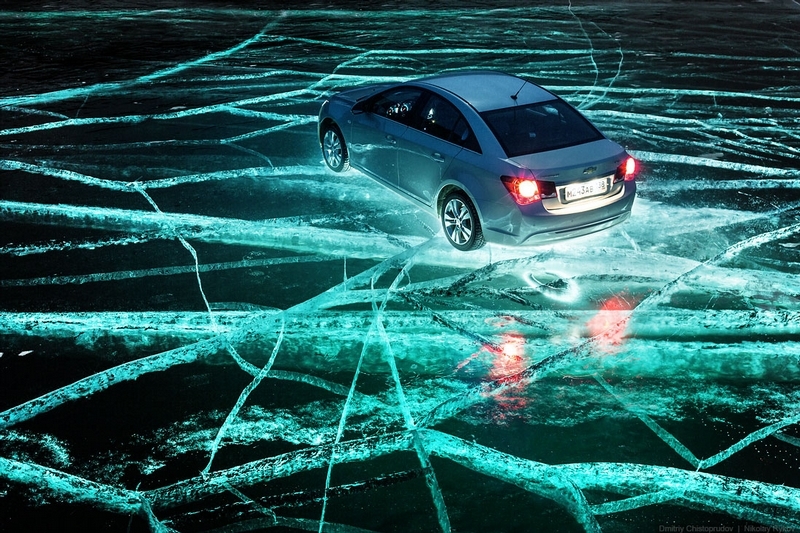 This pair of photographers recently shot a series of car photos on a frozen lake lit from below. The results are impressive considering they do not appear to be digitally altered. 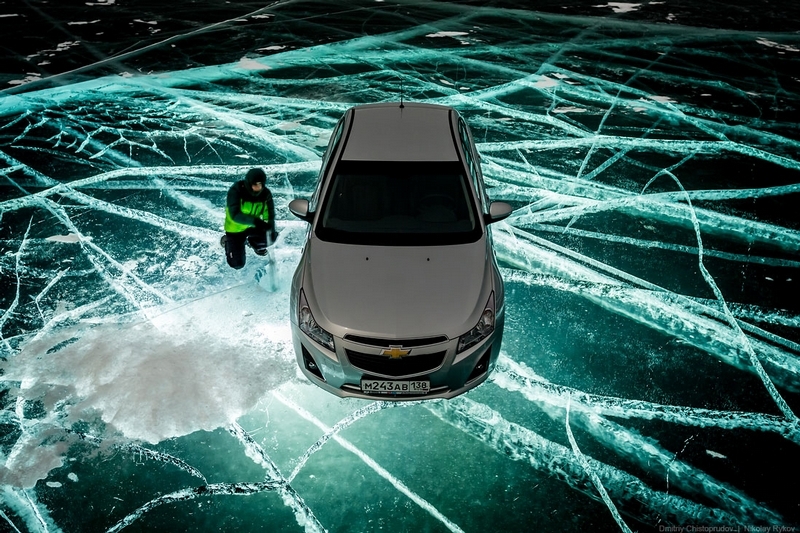 The preparation involved including making a hole through the 1 meter (3 foot) thick ice with the help of some local fisherman and also an hour of cleaning up the scratches on the ice that the said fisherman made with their spiked boots. In the end results were well worth it. 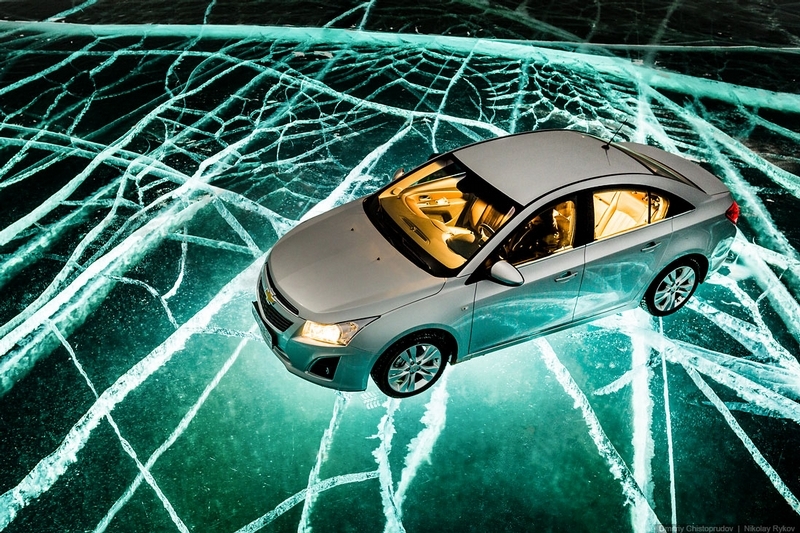 The creativity and technical know how speak for themselves. You can read the original blog post from the photographers (in Russian) or an English translation and also see additional photos of both the set up and end results. This entry was posted in News by northredline. Bookmark the permalink.